While it may be the middle of Summer this Winter tape batch is still well worth your attention. But I should apologize. I listened to these four tapes many times throughout the long winter in Minnesota. February was predictably frigid, mad March kept me working frantically, and I sat down to finish this review in mid-April only to get hit by a blizzard. So now that I’m safely back on the East Coast with no chance of snow in sight, let’s give this another go. When Constellation Tatsu first launched in 2012, my initial reaction was one of confusion: did Constellation start a tape label? While many Montreal notables have appeared on the label (Hobo Cubes, Kara-Lis Coverdale, Sarah Davachi), they are in fact of no relation to our beloved friends in Quebec. The Oakland-based label (self-described as “adventurous with spiritual artistic sensibilities”) has certainly earned our praise since then, with no shortage of excellent releases. To name but a few highlights: Chihei Hatakeyama, Andrew Weathers, Pleq, Quinn Walker, Alexandre Navarro, C V L T S, En, Jefre Cantu-Ledesma, and Jonas Reinhardt. One of the great things about this label is that, in addition to their excellent seasonal batches, they offer us the chance to put together our own “mixed batch,” choosing any four cassettes for just US $16 total (including shipping and digital downloads)! Seriously, this is an amazing label. 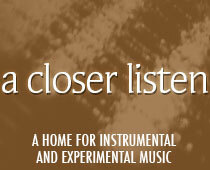 And of course you can check out their catalog over at Bandcamp. Rose isn’t an artist I’d previously encountered (despite two previous tapes for the label), but this is one of the great advantages of the batch system. Transference is an impressive introduction, one that might easily have slid under my radar. Seven-minute opener “Eros is Burning” slinks into being as drifting clouds of distorted tones occasionally part to reveal digitally splattered vocals. At times, a driving 130 bpm beat grounds the drones, setting the tone for the largely more rhythmic and economical five remaining tracks. “Seasalt” hearkens back to the ’80’s with a prominent 808 cowbell, a lively beat propping up an otherwise lethargically swaying chord progression. The eponymous track strikes a somber, occasionally ominous, tone but nonetheless the dominant vibe of Transference is relaxed and inviting. Yet another superb installment in Hakobune’s growing oeuvre prooves he remains an artist to watch. Consisting of two side-long tracks of swelling guitar drones, these calm and cool excursions in sustain and subtle fluxes in overtones are far more engrossing than they sound. While I love the visuals of the cover art, sonically Parhelion evokes more of a monochrome. There is a kind of minimalism at work, a halo effect perhaps not unlike the albums namesake phenomenon. A suite of lovely compositions, memorygarden禅‘s contributions stand out as the most melodic and rhythmic of the batch. The almost toy-like quality of some of the tones evokes a sense of nostalgia, like an ambient music box. districtアトランティス (or district atlantis) capitalizes on the sweetness of its melodies and upbeat pace to suspend listeners in the sweet-spot between holding ones attention and allowing the listener’s mind to wander. I wouldn’t be surprised if the artist behind memorygarden禅 will soon be scoring music to accompany other media. Equally well-suited to play in the background while cooking dinner, one headphones on the bus, or to soundtrack an afternoon on a glass-bottom boat.